Ferrari Land Experience, PortAventura. Discovering PortAventura with kids. As you have seen we have already visited Port Aventura this year. But not yet Ferrari Land. We went to Port Aventura in June and only for 1 day. There were a lot of people and almost all the time we spent on queues. That is why, we decided for our next time, to take a hotel and stay 1 night there. In such a way we can enjoy more of the experience. 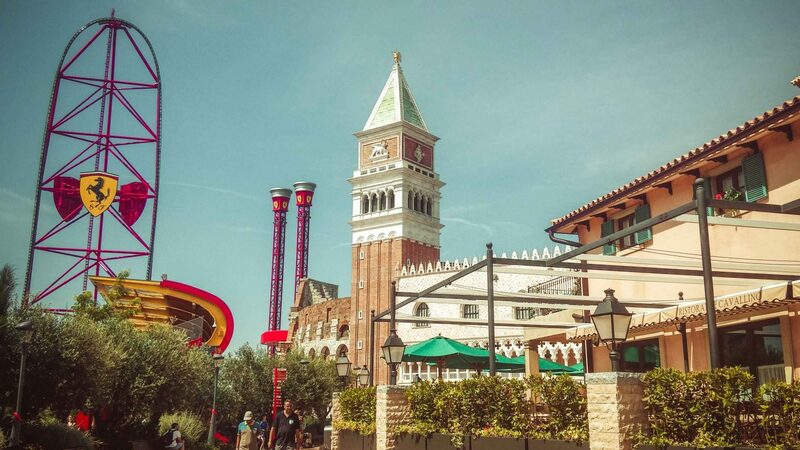 We took a travel agent offer, that has included 1 night stay in one of 4 star hotels of the theme park with half board included, 1 day entrance to Ferrari Land, and both days free entrance to Port Aventura. Such offers, they usually send to subscribers, so if you like it, just subscribe on their site. When you take this offer, then it is a roulette in terms of a hotel you will stay. In our case, we stayed at 4 star hotel El Paso. But about the hotel we will write later. Reus is the closest airport to Ferrari Land, only 15 minutes drive away. 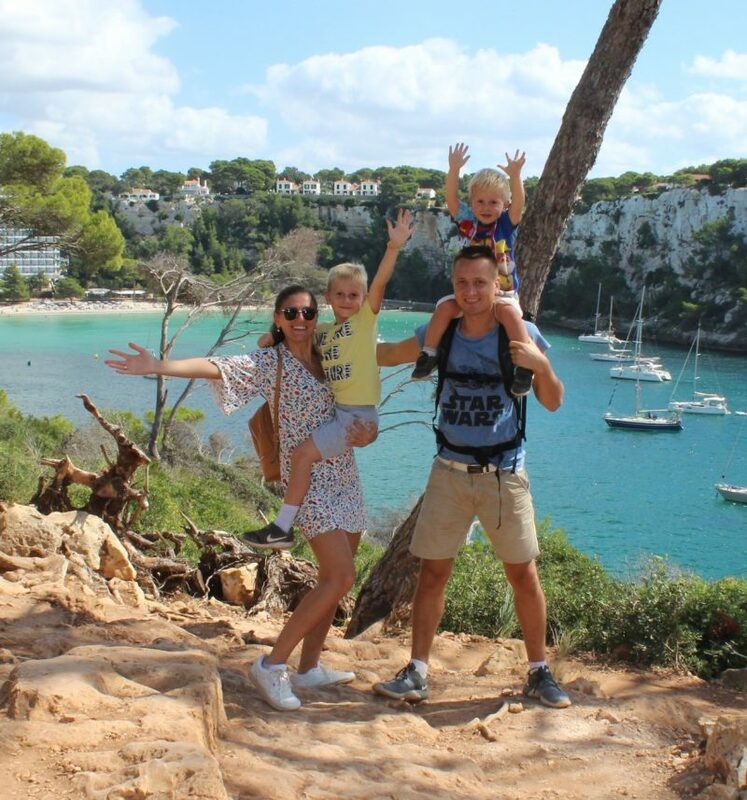 Combine with a holiday in Salou and Port Aventura World. Port Aventura is a world class family resort, now with three theme parks, five hotels, three golf courses and a beach club! We came from Barcelona, and it is 1h drive from Barcelona. 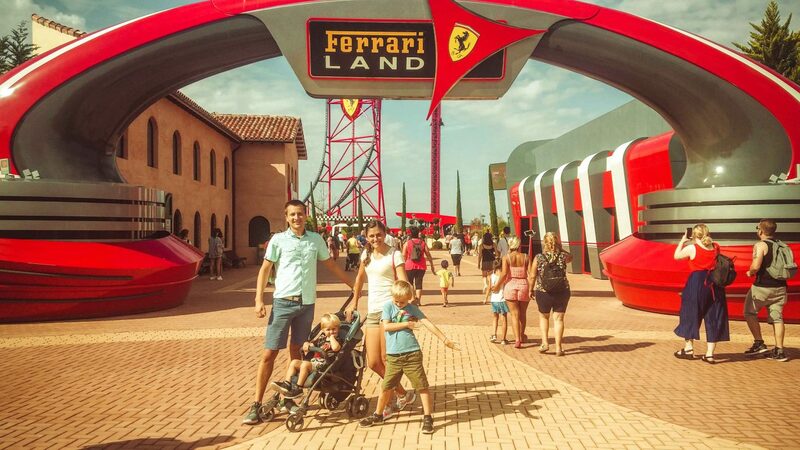 Ferrari Land is unique in Europe, and the experience is worth to be visited. 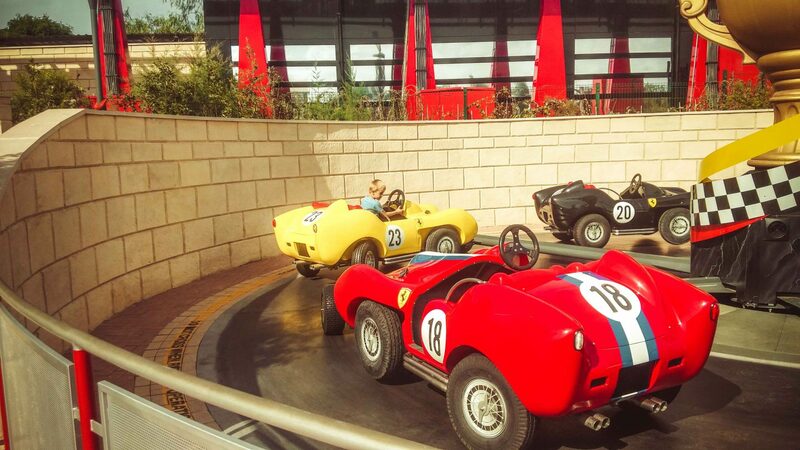 On our first day, we decided to go to Ferrari Land theme park. It was our first time to go there, and we were curious enough. 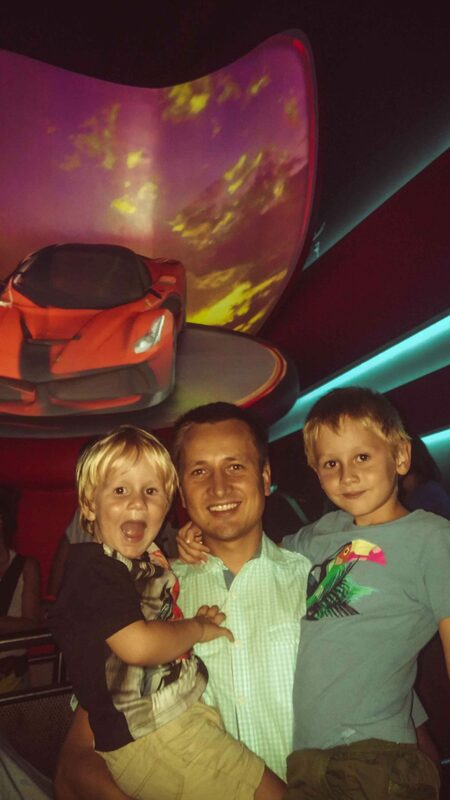 All our family is Ferrari fun, and it was a nice experience. 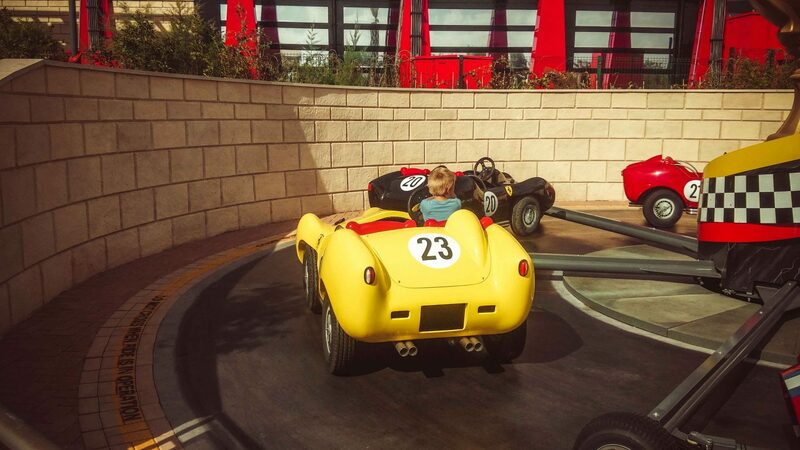 Once you step into the theme park you will see that the iconic red Ferrari colour is visible throughout the park. It makes you to forget that you are actually in Spain. The designers created an authentic Italian environment within the park. We walked around the Colosseum and Venice’s St Mark’s Campanile. As well, there is a great souvenir shop with Ferrari merchandise at the exit – bring your credit card! This attraction is one of the craziest we have ever experienced. Though, we still remain with the thought that Shambala from Port Aventura is better. 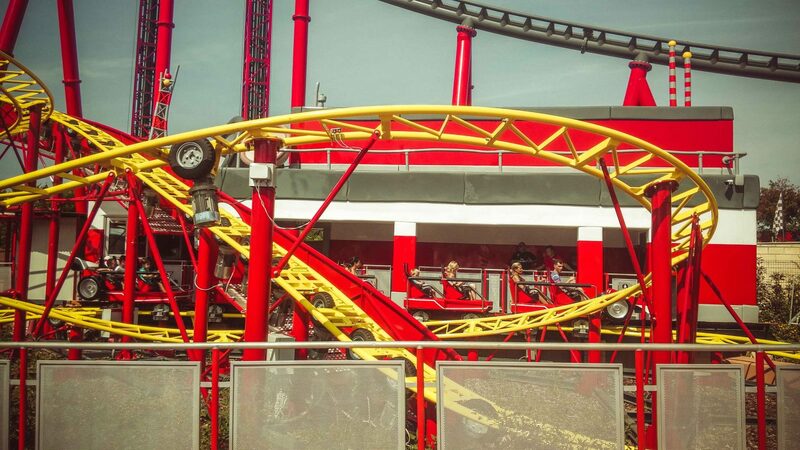 Red Force Ferrari Land, gives more adrenaline in less time, and Shambala less adrenaline, but you enjoy it more. We went twice on Red Force. And we had to stay more than 1 hour in queue. Red Force Ferrari Land is the best attraction at this theme park for sure. Zero to 180km in 5 seconds, I couldn’t even imagine what that would feel like, then you wait for 1-2 seconds, an with the same velocity go done. The best part of the whole experience, is when all is over. But, I have to admit, that while on rollercoasters, it is amazing. It is the tallest and fastest in Europe and the feeling of reaching that height and speed is something we have never experienced before. I have stayed in the first row on both times we went there. So, after the incidence they had on the launching of Ferrari Land, now, they give special glasses for the first row. Really cool, indeed. About the views, yes, you have time in those 2 seconds to enjoy the marvelous view from the top. Stay calm, and enjoy those. Two towers that emulate the pistons of a Ferrari’s engine. One fall in free fall and the other in rebound goes up and down. I went on both of these, right before closing of the theme park, and no queue have seen. Anyway, the one tower that has Port Aventura theme park is much better. Is better in terms of adrenaline and views. I thought that this one is ok, for our older son as well. Even though, he didn’t go there. There are two experiences. RACING LEGENDS y FLYING DREAMS. One emulate the racings on a ferrari, and other one is a 4D experience round the world on a ferrari. The first one we went with the older son, and he was amazed of the experience. You are given the special glasses, and during the experience you enjoy the famous racings that went on different times in a Ferrari. 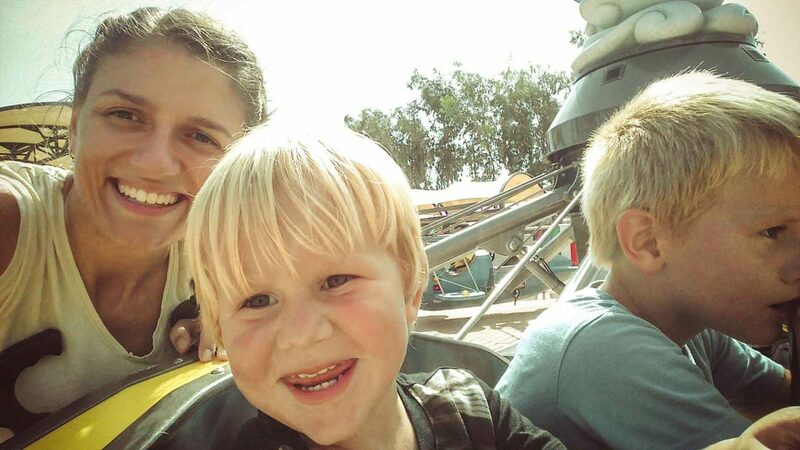 On the second experience, we went with both our kids. 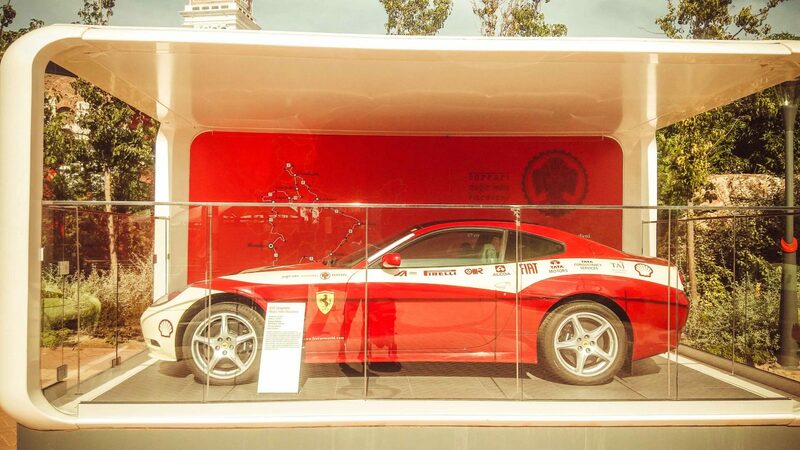 We remained very satisfied, as you experience a 4D tour within one of the famous cities on a ferrari like. The little one, get really afraid, and began to cry, but then said that he liked the experience. We went there when they were closing the attraction, and Damian had no time to take this opportunity. So, this attraction remained undiscovered. Same attractions, can be found for little ones in the kids area. We stayed almost all the day there. Only changing each other, while one of us were enjoying the adults attractions. Damian is tall enough and he could pass at any of the attractions, but Marc, has less options to choose as he is less than 1m. 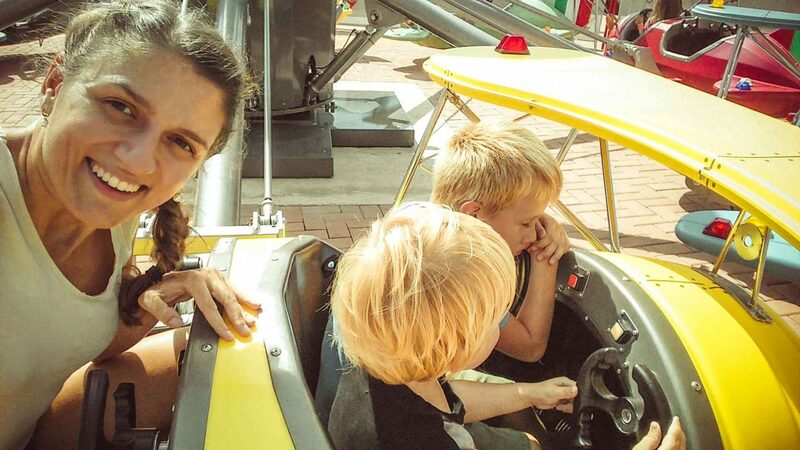 Anyway, as you can see in the pictures, both of them had a great time at the Ferrari Land. It was a cool experience for 1 day with our kids, but we would not come back, as we think PortAventura has much more attractions to enjoy. There are attractions for all ages, and we have still attraction that didn’t discover there. For those who are real fans of Formula1 and Ferrari, then you just should go and experience those Ferrari emotions. Previous Post PortAventura hotel El Paso – Travel Family Blog. Family stay with 2 kids. You have a beautiful family. What an experience!. Thanks for sharing and making us part of it. Thank you a lot for appreciations! Hope you liked the post. Never knew there was a Ferrari land ! It just be a dream come true for the bonafide car lover. I’m glad you enjoyed it! 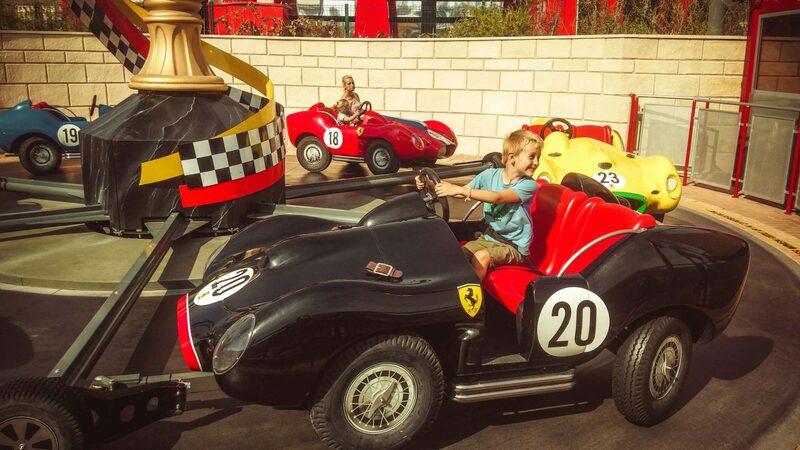 Yeah, hubby enjoyed Ferrari Land as a kid. Well, myself as well hahaha. OH MY GOODNESS! My kids would FREAK out here!!! They LOVE ferrari! What a cool experience!